Contact lenses are a safe and effective way of correcting vision, not to mention a convenient and stylish accessory. However, if they are not worn correctly or are not cleaned properly, they can lead to eye infections that may cause discomfort or even serious harm to your eyes. 1. Buy your contact lenses from a trusted source – online shopping may be convenient, but when it comes to matters of eye health, it’s best to visit a trusted optician. This will ensure that you get contact lenses as per your prescription and your requirements. Incorrect prescription lenses or poorly fitted ones can damage your eyes, sometimes irreversibly. 2. Clean your lenses correctly – this means using the prescribed cleaning solution. These solutions clean the lenses thoroughly, removing all traces of secretions, mucus and deposits, and also disinfect the lenses. You must never use tap water to clean or rinse your lenses; tap water contains bacteria and microorganisms that may not get washed away and can cause painful sight-threatening eye infections when you wear the lenses. 3. Keep your lens case clean – apart from cleaning the lenses, it’s important to keep the case itself clean. Only rinse it with solution and keep it upside down to dry thoroughly. You must also replace the case every month. 4. Never sleep with your lenses in – no matter how tired you are, always remove your lenses, clean them and leave them in their case or throw them away if they’re daily disposables. Sleeping with lenses on can increase the risk of getting an eye infection. 5. Don’t use lenses beyond the recommended date – disposable lenses come with a use-by date, after which it’s best to replace them with a fresh pair. Wearing lenses longer than the recommended duration can lead to oxygen deprivation in the eyes as well as bacterial infections in the eye. 6. Don’t over-use your contact lenses – for at least some periods during the week, swap your lenses for glasses to give your eyes a break. 7. Get your eyes tested regularly – at prescribed intervals, have a comprehensive eye test as well as a contact lens check. Your optometrist will check if your prescription has changed and recommend a change of lenses if required. Regular eye tests are also the best way of detecting of potential eye problems (including infections) before it’s too late. Wondering whether contact lenses are right for you? Drop in at your nearest Leightons Opticians and Hearing Care store and we’ll be happy to help. 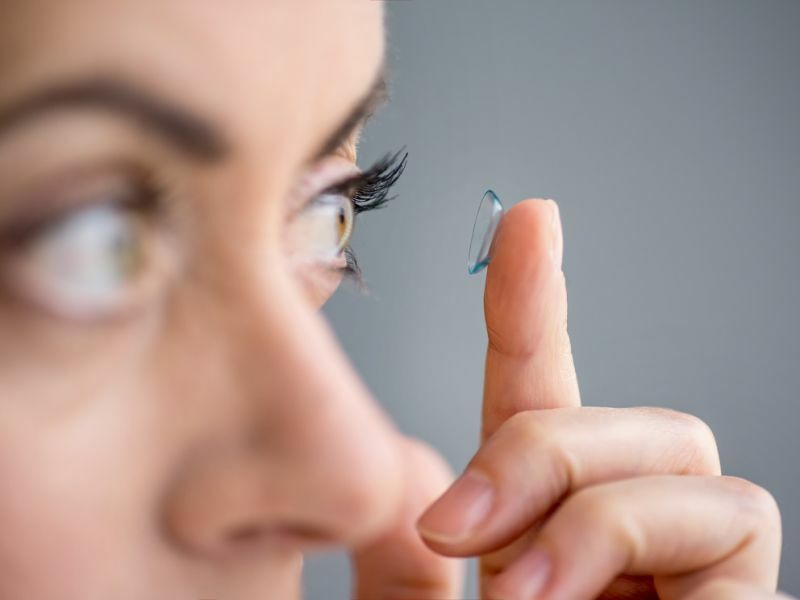 We offer a wide range of contact lenses from leading brands such as Acuvue and Alcon, and our expert team will be on hand to help every step of the way. We offer a free contact lens trial so you can get used to using, cleaning and storing your contact lenses before deciding whether you want to wear them. You may also want to take advantage of our MyLeightons Care Plan, which offers continued service and free professional eye care. To book your contact lens trial or check-up, call us on 0800 40 20 20, visit your nearest branch or book an appointment online.